Microsoft recently launched a free, virtual hands on lab Managing Docker on Windows in partnership with Learn on Demand Systems, a training partner within the Microsoft family. 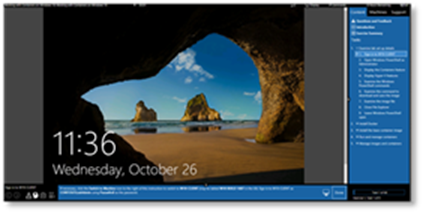 This virtual lab was created as an educational offering to engage, inspire and inform the US Modern Developer audience around the areas of Containers, Docker, Hyper-V, and Windows. 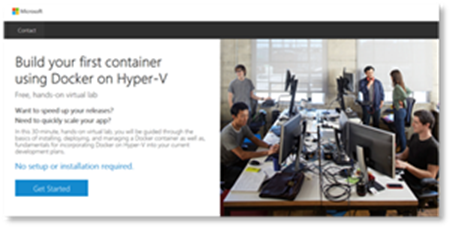 The free, hands on virtual lab takes a user through the steps of how to install, deploy and manage a Docker container on Hyper-V. In just 30 minutes, they will learn to build a modular, portable container on a real Windows VM. Plus, there is no installation required!